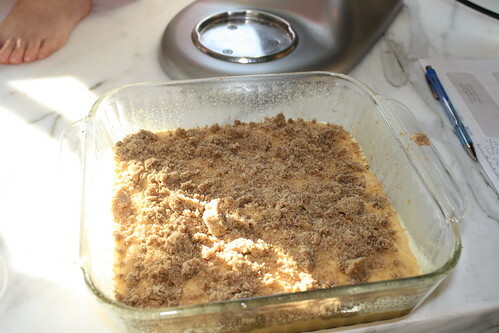 I have a thing for coffee cake. Doesn’t everyone? This particular version is an ode to fall, and a wonderful option for Thanksgiving breakfast. 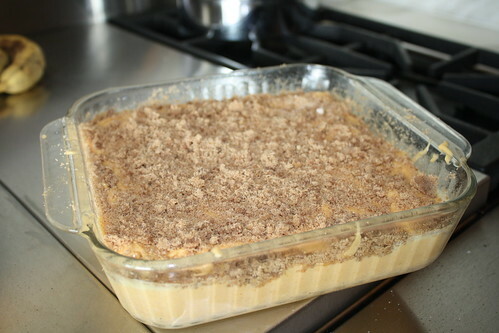 I converted my original recipe and doubled it up to produce something reminiscent of a New York Crumb Cake! 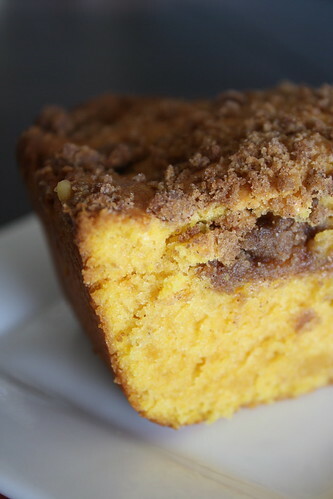 I used less sugar and butter than I usually would for a coffee cake, and replaced it with a creamy pumpkin puree. 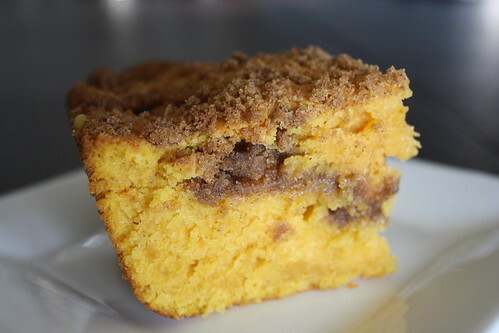 The result is a thick, moist and beautifully colored orange coffee cake with a cinnamon and sugar crumbly layer of filling and topping. Totally delicious and full of pumpkin flavor- this is a great fall breakfast. 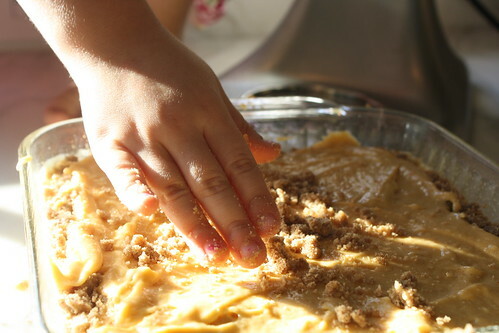 Preheat the oven to 350 degrees and prepare a 9×9” pan with cooking spray. 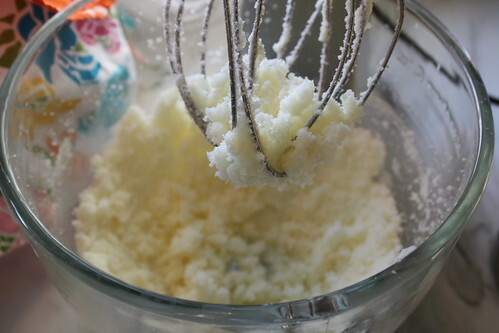 In a medium bowl, beat together the butter and the sugar until fluffy. 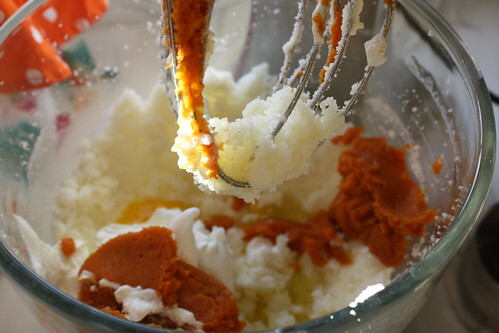 Add the sour cream, pumpkin, eggs and vanilla to the bowl and mix well. 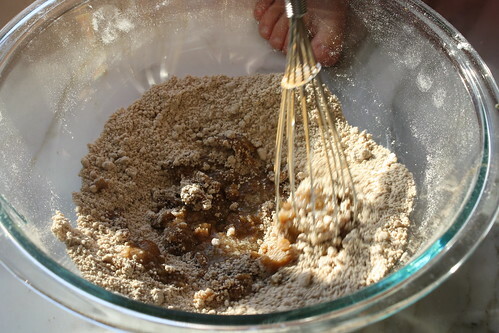 In a separate bowl, combine the flour, baking powder, salt and nutmeg. 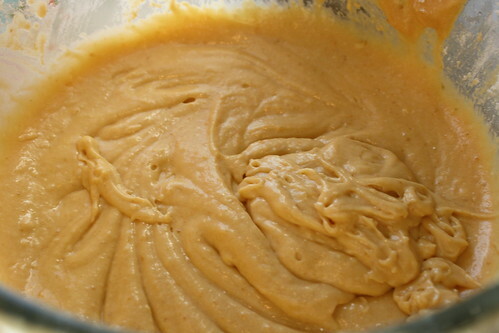 Add the dry ingredients to the cake batter. 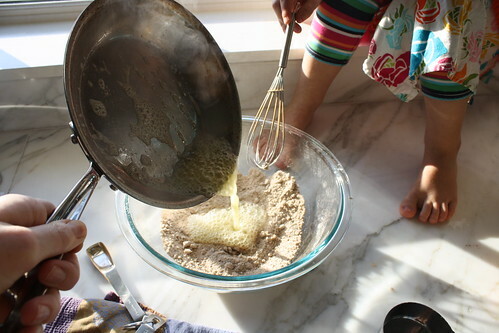 In a separate bowl, combine the dry filling ingredients while the butter is melting. 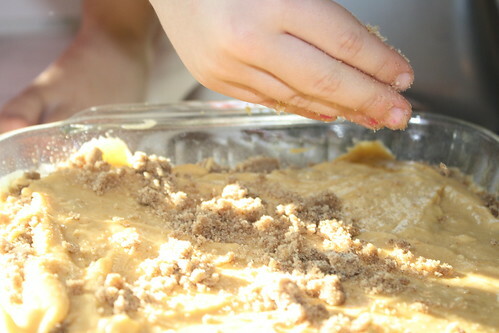 Pour the butter in and stir until you get a crumbly mixture. 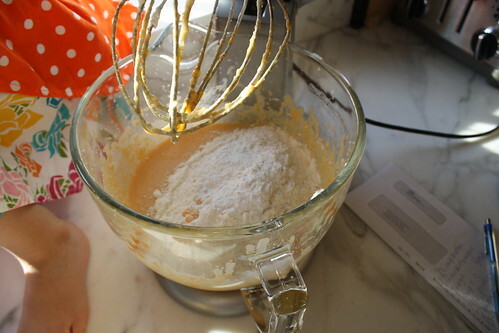 Sprinkle half of the filling over the batter. 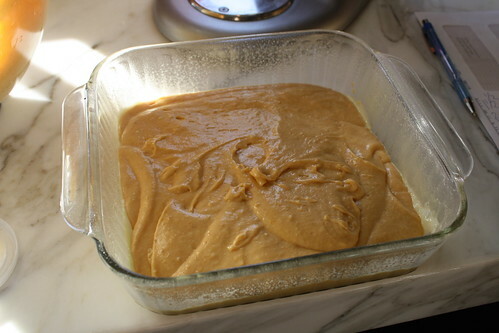 Repeat the process with the other half of the batter and filling. Bake on the middle rack in your oven for 50-60 minutes until the middle has baked all the way through and a skewer comes out clean. 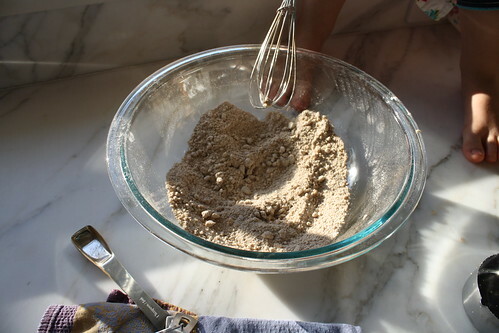 This sounds wonderful to make during this week of Thanksgiving with guests staying overnight. It looks great to have with hot coffee in the morning! I also have a thing for coffee cake. It’s seriously delicious. 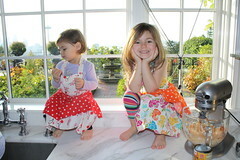 Wow, you sure are prolific in the kitchen. 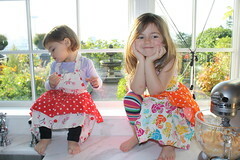 How is it that your adorable kiddies aren’t chubsters?! 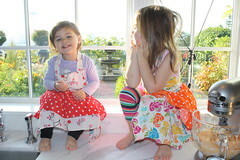 Thanks for all the inspiration and Happy Thanksgiving! I am going to make this for my team at Dr. McKay’s office on Tuesday. It will be a perfect sendoff for the Thanksgiving Holiday. 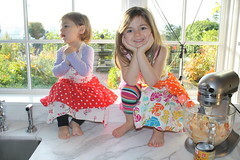 Thanks so much for sharing all the great recipes, Healther! Keep em coming! Oh good heavens!!! I love crumb coffee any kind of cake. 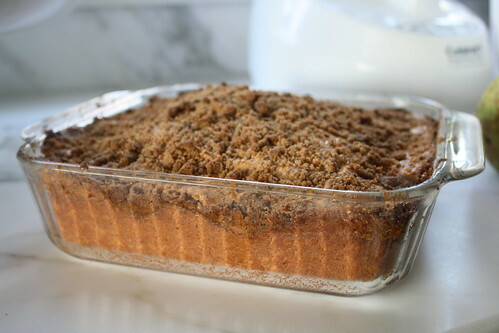 I’d love for a coffee cake to be nothing but the crumb topping. This to me is the perfect thing for breakfast the day after Thanksgiving, better known as Black Friday. 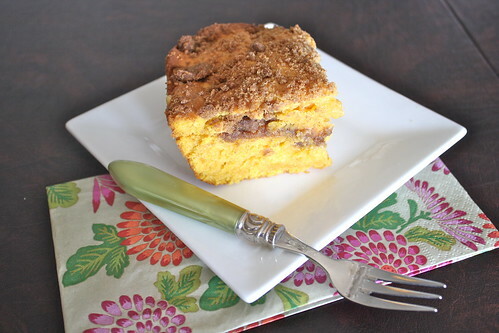 Crumb coffee cake is one of my favorites. Inever would have thought to add pumpkin! Genius! 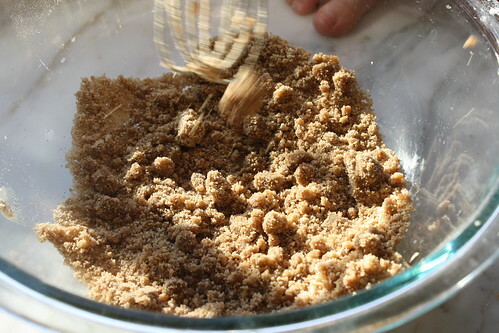 I’m making this as a bundt cake now, put most of the streusel in the middle. Will make a glaze for the top. Thanks for the recipe, my house smells amazing! Thanks for a great recipe! I used vegan sour cream and margarine and a flaxmeal egg replacer to make it vegan and it cooked up beautifully in a bundt pan. Mine is taking over 80 minutes to bake. I’m not sure why? I just made this for my husband’s birthday cake and it was fabulous. I made it gluten free by using Bob’s Red Mill 1 for 1 gf flour. I also added a little extra flour and a bit of grand Marnier to the filling so it became more of a swirl than a crumple, but whatevs. Still super tasty tasty. 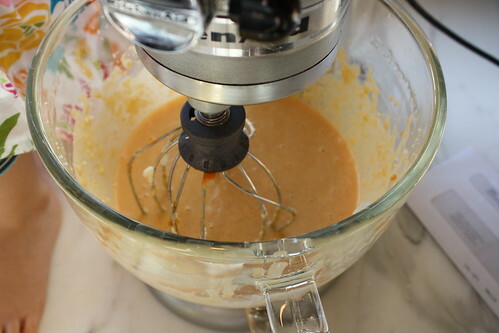 Then I added a grand Marnier icing on top. He was very happy with it. I’ll likely be making it again this fall. 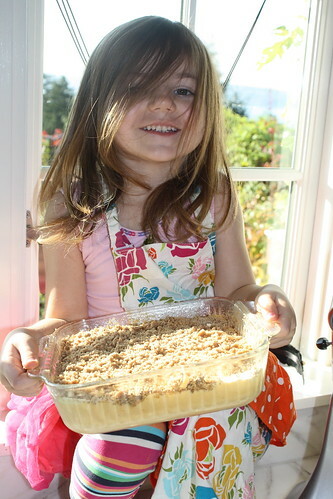 It did also take a very long time to bake. Closer to two hours and then I eventually had to kick the heat up to 400 for another 20 minutes, but it ultimately turned out prefect. Thank you so much for the feedback Jamie and I will definitely be trying this GF too!